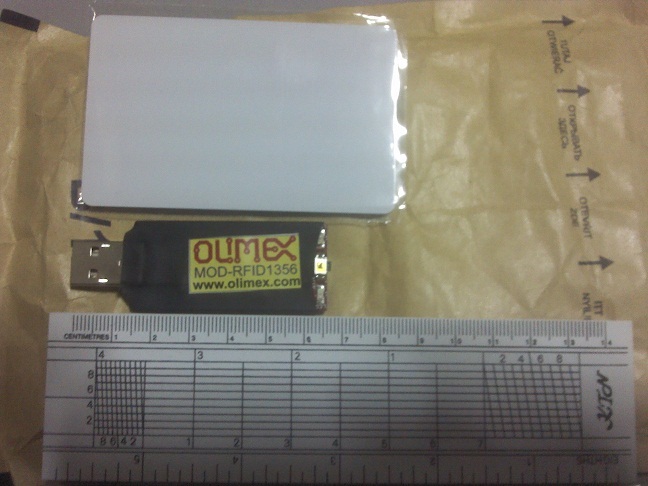 I received MOD-RFID1356 RFID reader device as a prize for winning a quiz by Olimex from Bulgaria who organizes on-line quiz every (mostly) Friday (Another winner before me is CNXSoft that might be from Thailand like me). I also received two RFID tags (card and key chain) along with device in order that I could conduct experiment. To compare size after unboxing. MOD-RFID1356 contains one USB connector, one press button and two LEDs. 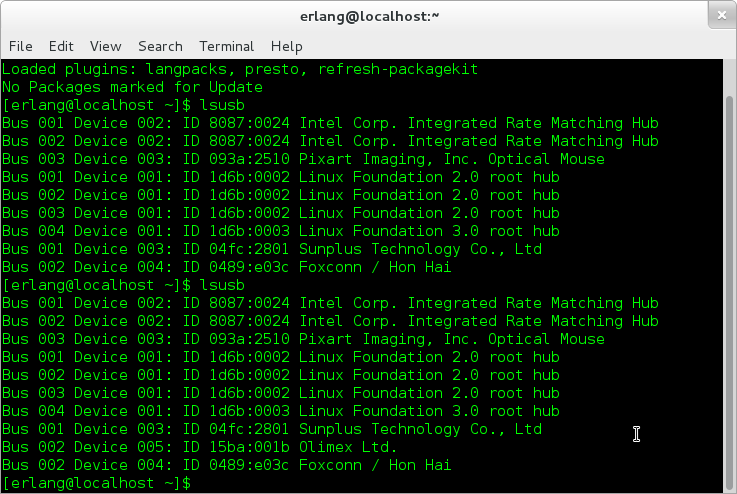 Firstly, I connect it to my Fedora Linux laptop and use command “lsusb”. 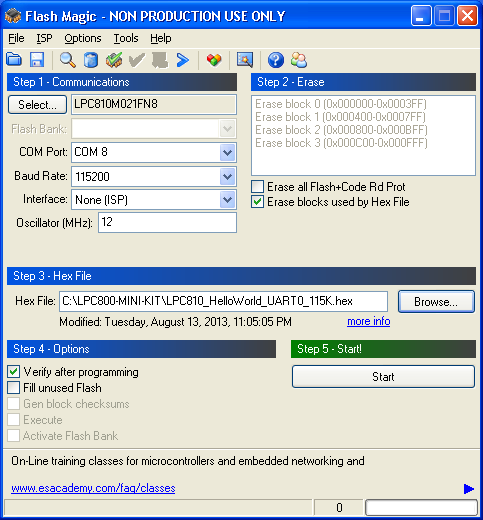 It displays as USB HID device (keyboard) profile. Yellow LED also brightens to indicate power on. 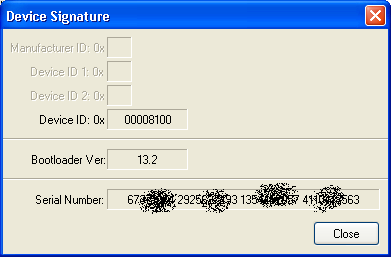 When I take tag approximate to MOD-RFID1356 device. It emulates itself as keyboard. 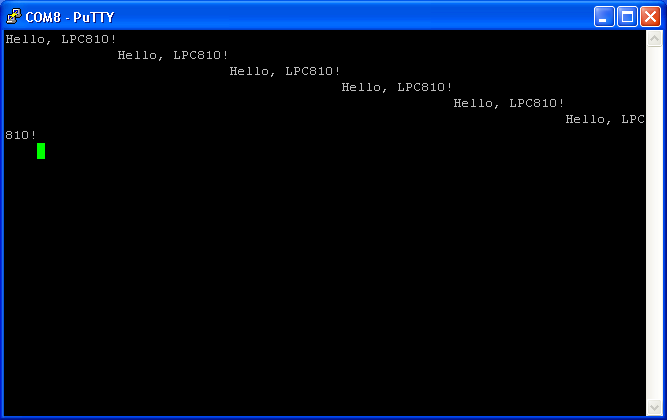 Characters are pressed and end with enter to Linux shell. Another red LED brightens while tag coming close to device too. And next experiment. To connect to Raspberry Pi. 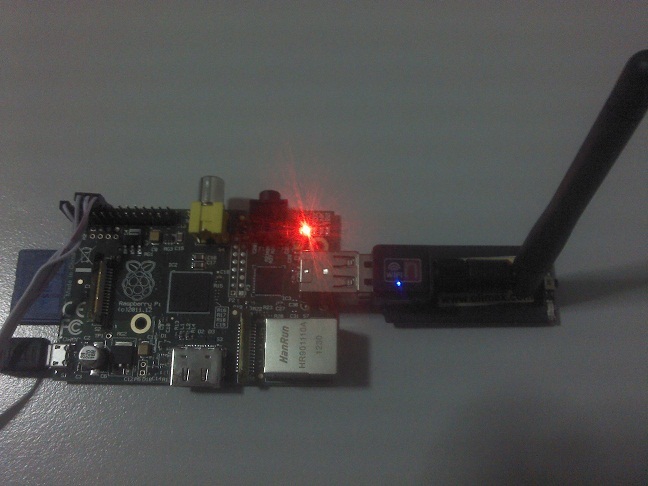 I usually use it as headless board connecting via Wi-Fi and use SSH (from the same Fedora Linux laptop). I connect Wi-Fi dongle and MOD-RFID1356 device to Raspberry Pi in the same time. It seems some Wi-Fi dongle consumes power too much and I can’t login to Raspberry Pi but I’m not be encountered that problem when use Ralink RT5370 dongle. 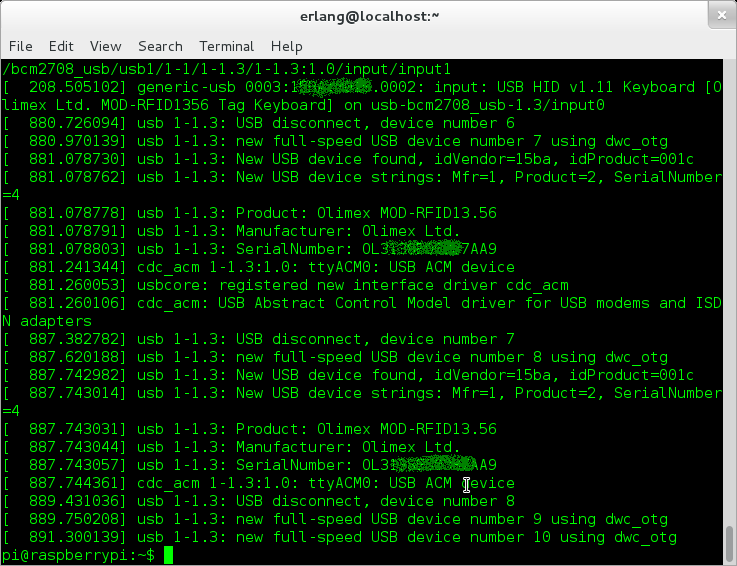 I use dmesg command in order to ensure that MOD-RFID1356 device is found properly. 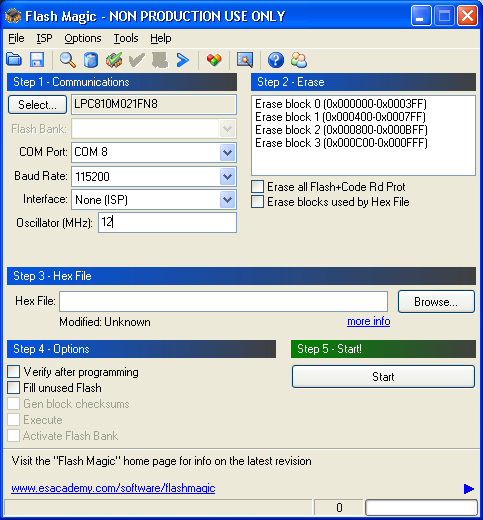 When press button for approximately two seconds, it is changed to serial mode and yellow LED blinks in order to indicate that changing to serial mode. 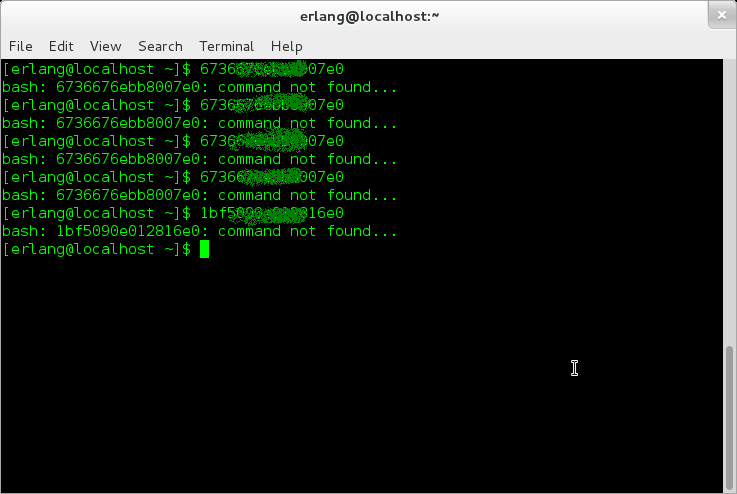 You could see ttyACM0 from dmesg command again. Then I use Minicom in order to connect MOD-RFID1356 device via /dev/ttyACM0 (serial communication on USB) of Raspberry Pi. 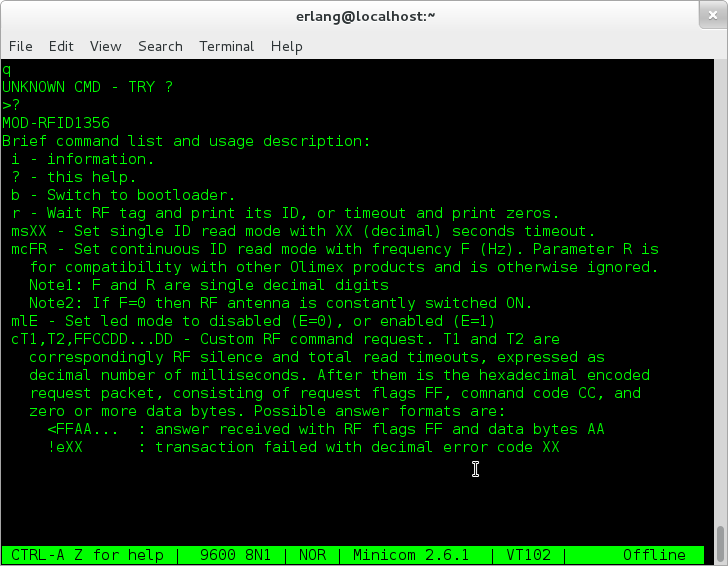 Using command “minicom -b 9600 -o -D /dev/ttyACM1”. 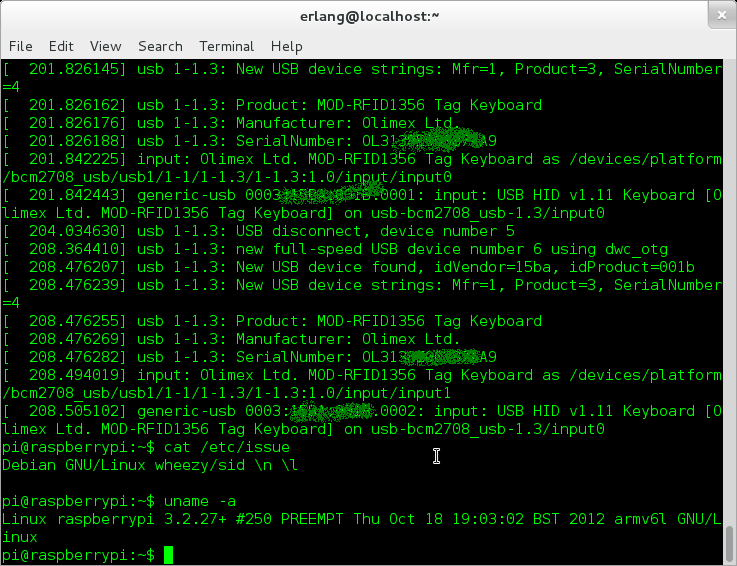 When tag comes close to device, Minicom displays characters from serial on USB from tag. I can communicate to MOD-RFID1356. It can display help for commands. When I press button for few seconds, it is changed back to HID mode again and also red LED blinks.